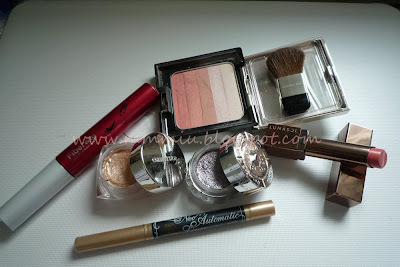 For the past week, I've been doing the same makeup look to try to rotate everything in my vanity. I'm liking this gold and purple combination. 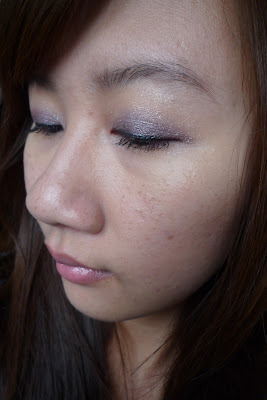 Although I have the Maquillage Forming Shiny Eyes 52 (which has the gold and purple combo), I like using the cream shadows for this because it's a lot more shimmery...plus it lasts along time. 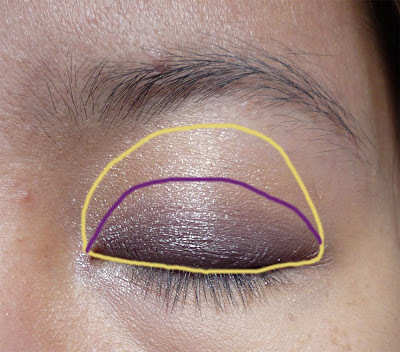 The purple in the FS Eyes is meant for lining and blending it is a bit more difficult for this look imo. I think I either need to apply more blush or stop sitting in front of the window to take my pics, cuz it doesn't show up at all hehe. My eyes were so puffy in this picture bah! But better the next day. 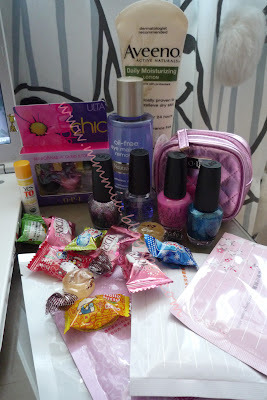 Since I'm currently unemployed, it gives me a chance to use up the products that I ignored. At least this keeps me from buying more new stuff. I suffer from flaky cakey foundation cheeks after 6-8 hours. I have stopped applying powder to the areas that tend to get dry and this has helped a little, but sometimes, there's still a bit of dryness. 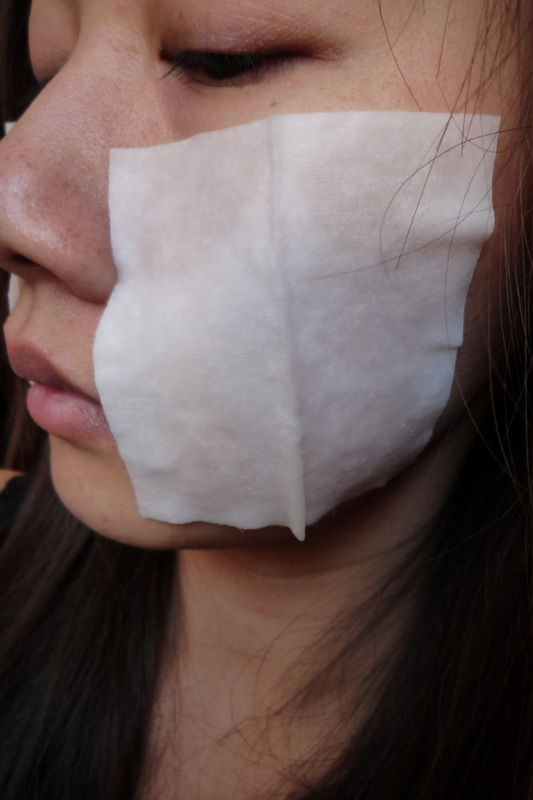 To help prevent this from happening, I use makeup mists before applying makeup/during the day or a mask. 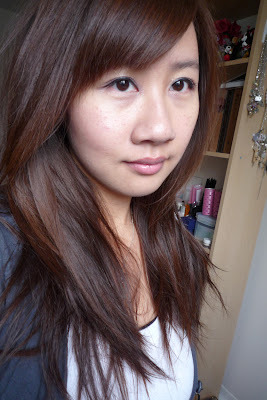 For a review of the Shu Uemura and Paul & Joe mist, click here. I have since finished those mists, but I still had 2 more and some masks that I have not touched since purchasing them from Japan. I saw this on Pink's post but couldn't find it until I went to Tokyo. You can spray this almost anywhere on your face or body and even your hair. You could also use this after you've been in the sun, or according to the picture on the bottle, after shaving. It's 100% mineral water and doesn't have a scent. I spray this on my face and massage it in before applying base makeup. If I'm out and my skin gets dry, I use the Paul & Joe Moisture Gel or this mist that's more convenient for putting in the purse. I don't really like this as much as the other ones I've tried because it smells kind of like alcohol, but the Freeplus line is supposed to be free of preservatives. It makes my skin feel refreshed and adds a bit of moisture back to the dry areas. The mist also spreads out to cover a large area so I only need to spray it 2-3 times. Adambeauty carries this line, but not the mist. However, I've read from other blogs that he did special orders before, so I don't see why he wouldn't be able to get this. 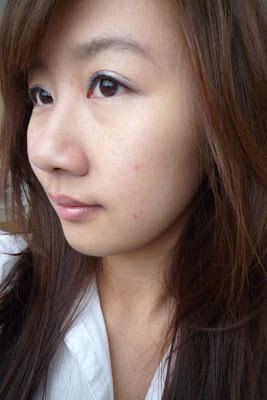 If I have lots of time to get ready then I slap on a Beauty Diary Mask or I use another quicky mask instead of the mists. 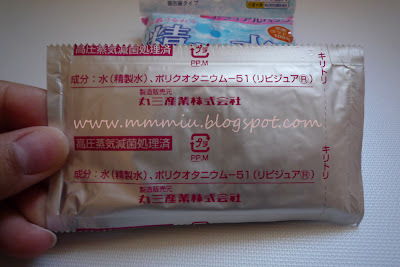 I'm not sure if this is the actual Angel Cotton Purified Water Pads that Fuz talked about on her blog, but it looked close to it. All I know is this Selena brand also makes a cotton puff that Imomoko sells. I got this at a daiso for a buck a pack (5 in a pack) so it was worth a try. I would consider this a 2 minute mask. Each pack is individually wrapped with 2 pieces of cotton (75mm x 75mm) that's soaked in what I assume is the purified water. I think it works the same as the mists but since I leave this on my cheeks for 1-2 minutes, there's more time for my skin to absorb more moisture. There's no scent and it feels very refreshing after I use it. The cotton pads are thick and soft and have lots of liquid in them. I don't use these on top of my makeup like the mists. I'm worried that it'll smudge something or melt my makeup, so I use these before applying base makeup. These are very convenient to travel with. I know Imomoko sold these, but I couldn't find it on the website =/ I've also seen these sold at Pacific Mall but I'm not sure how much they were. 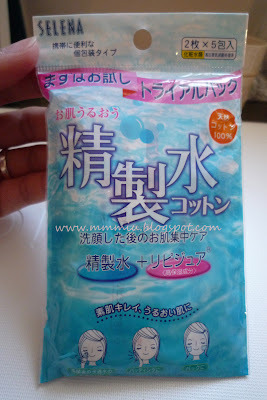 Or.. if you want to save money and already have a makeup mist, you can try buying Shiseido cotton pads and soak it with the mist and use it as a mask or put it in a small ziploc bag for travelling.